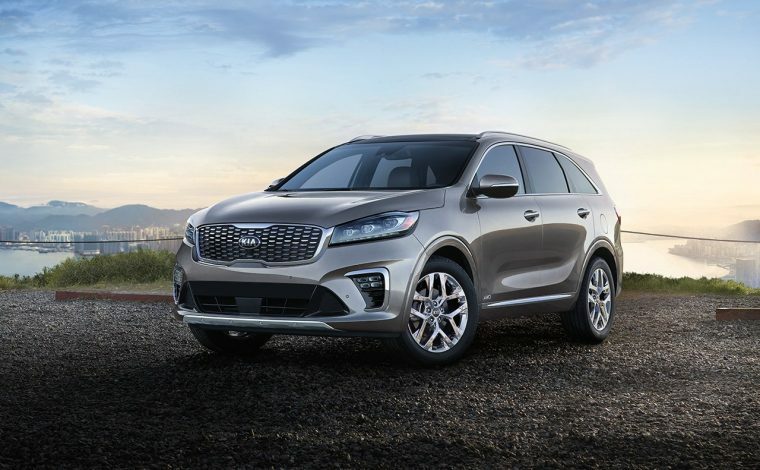 Part of the ever-growing SUV segment, the 2019 Kia Sorento has a few upgrades for this year’s model. An improved powertrain gives driving a new thrill while added technology features and a comfortable interior make your commute as smooth as possible. The Kia Sorento’s powertrain gets a boost for 2019 with an all-new eight-speed automatic transmission, and the previous six-speed transmission has a revised gearbox. Technology inside the cabin now includes driver-assist features like Driver Attention Warning and Lane Keep Assist, plus a QuantumLogic Surround Sound system. Last year’s headlights have been adjusted with full-LED lighting on the SX and SX Limited, while the front and rear fascias have a new design for a distinguishing look. 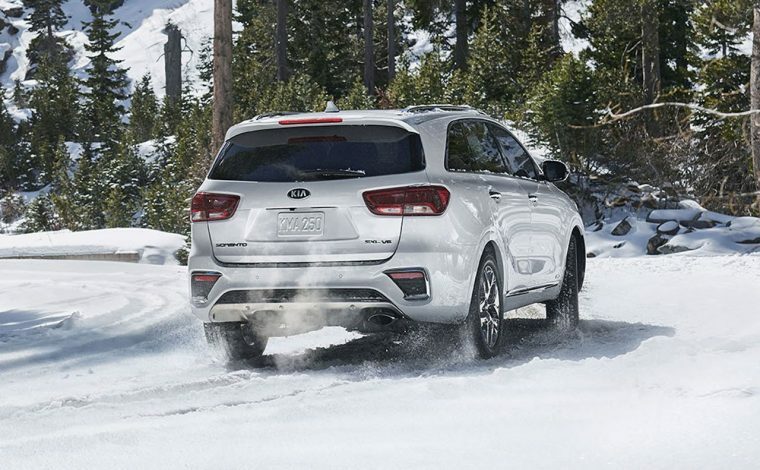 The 2019 Kia Sorento is available in six trims: L, LX, LX V6, EX V6, SX, and SX Limited. The front and rear fascias of the Kia Sorento were restyled for 2019, adding an extra level of sophistication to the SUV’s first impression. The rear bumper has been changed, as well, to channel a bit more aggression in its stance. You can also choose between three different wheels, all-new for this year, up to 19-inches. 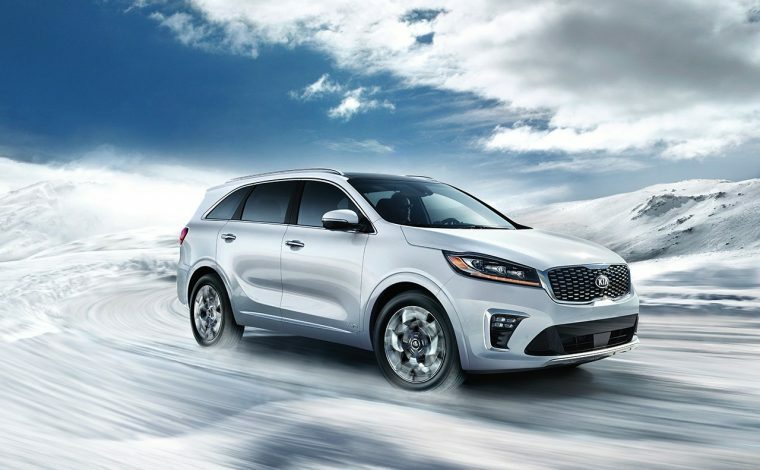 The 2019 Kia Sorento is available in nine exterior colors: Snow White Pearl, Sparkling Silver, Titanium Silver, Passion Red, Sangria, Blaze Blue, Dragon Brown, Platinum Graphite, and Ebony Black. On its first two trims, the 2019 Kia Sorento is equipped with a 2.4-liter inline four-cylinder engine and an electronically controlled six-speed automatic transmission. As a whole, the standard powertrain produces 185 horsepower and 178 lb-ft of torque. If you decide to upgrade to the LX V6 or any higher trim, you’ll be able to feel the thrill of the stronger powertrain: a 290-horsepower 3.3-liter V6 engine paired to an electronically controlled eight-speed automatic transmission. The smaller standard engine, the 3.3-liter four-cylinder, is your best bet when it comes to a fuel-efficient powertrain. It earns an estimated 22 mpg in the city, 29 mpg on the highway, and 25 mpg combined. With the larger engine, you’ll see an increase in performance output but a slight drop in efficiency. The V6 earns an estimated 19 mpg in the city, 26 mpg on the highway, and 22 mpg combined. 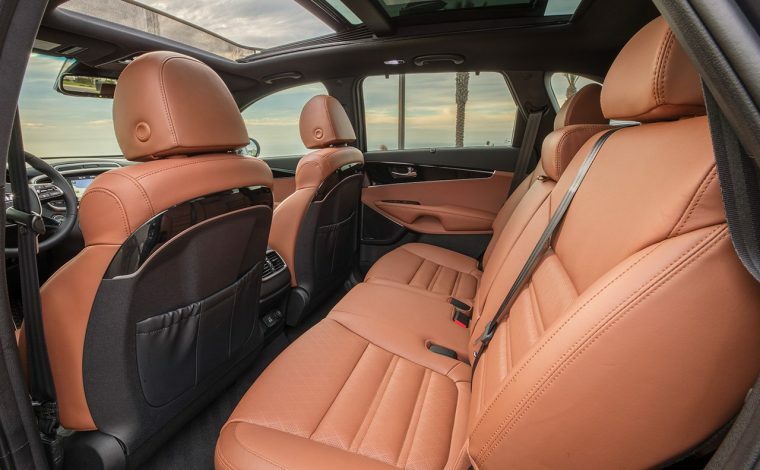 Inside the cabin, you can choose the abundance of technology with each trim level. The standard Sorento comes with a six-speaker UVO play system with a 7-inch touchscreen, Apple CarPlay and Android Auto, and Bluetooth wireless technology. The SX upgrades its audio system to a 10-speaker Harman/Kardon surround-sound system, equipped with a subwoofer, an 8-inch touchscreen display, and HD Radio. 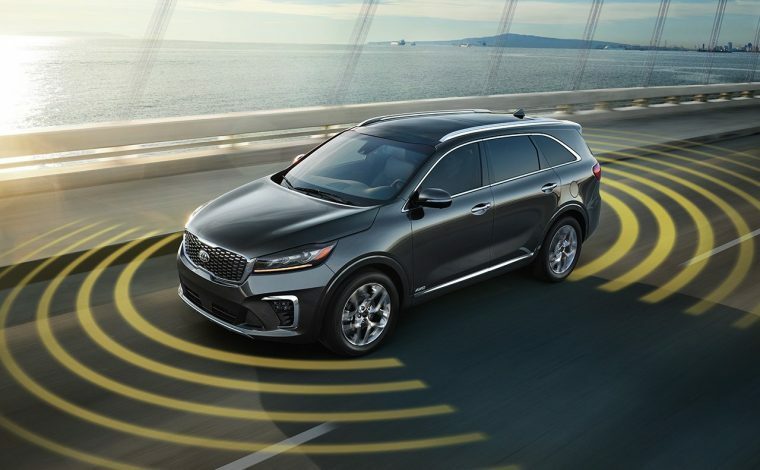 Every trim of the 2019 Kia Sorento comes with a full suite of standard safety features, including both active and passive technologies. Driver-assist features come into play on upper trim levels. 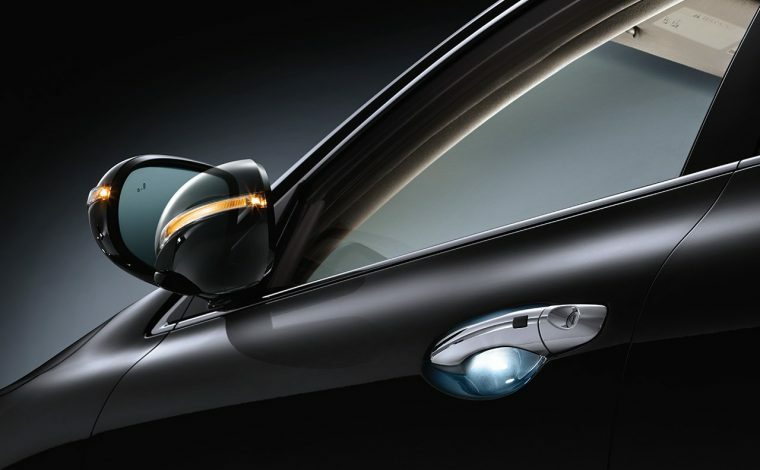 On the LX, you can utilize Rear Cross Traffic Collision Warning and Blind Spot Collision Warning for easier navigation, while the EX V6 adds Forward Collision Warning, Lane Keeping Assist, Driver Attention Warning, Reverse Parking Distance Warning, Forward Collision Avoidance with Pedestrian Detection, and more.